Searching for Android MIPS applications for Ainol Novo can prove to be frustrating, especially if you are looking for something specific like Skype, YouTube or Facebook. 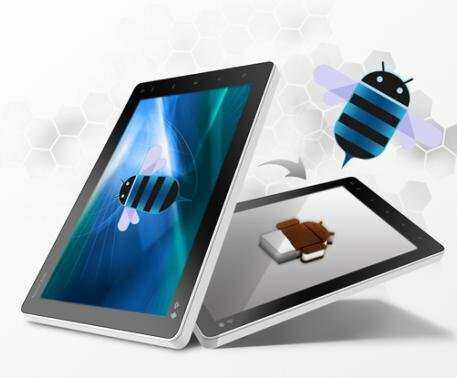 I have gathered a list of applications from various websites that claim to work with Ainol Novo 7 Basic tablet. Unfortunately mine did not arrive yet, shipping from China takes too long :(, so I was not able to test them and say for sure if they work. Feel free to download and comment. Thanks very much. Is there any reason why these wouldn’t work on the Elf? Elf is not a MIPS tablet, ARM8 inside. This MIPS package won’t work but you have almost everything compatible directly on Android Market. Add Dolphin Browser HD, File Expert, Moon+Reader, Evernote,Gmail, Android Market etc -ONCE ITS UPGRADED TO ANDROID 4.03. When will 4.03 update come out? How to install it after downlod? Thank you for posting I just got the Novo 7 Paladin and your magic code is working perfectly. I have the same question as Wan, what do you do after the download to get the programs into the the Paladin. I really want to get Angry Birds working. Place the files on your microsd card. Then insert into tablet. You can open/install files using ES file explorer application that should come pre-installed on the tablet. ytsentas, thanks much for the info. I did not have ES file explorer installed but I found it at Google Play Store downloaded it and now playing Angry Birds. Have you found adobe flash player for nono7 basic? Hey mate you should try this Download Android Opera Mobile 12 MIPSr1_LABS.apk this is better then Dolphin browser. Kinda rushed the last request, found them all. I have pickd some at random and found a few that were in English (Turbofly)but not many. If I can’t figure them out I just delete them so no big deal. Also I am still looking for a Flash Player, has anybody found a working copy? Found a working copy of Adobe Flash Player if anyone else need it. I have downloaded it instaleed it on my Ainol and it works. Is there a camera app for this tablet? Seems pointless to have two cameras and no way to take pictures. Found one that works: SilentSnap Free (in the Google Play store). There was probably something in Chinese that came with the tablet, but since I don’t read Chinese, I had no idea which one it was. I’ve uninstalled everything that’s in Chinese because, well, they’re useless to me. Does anyone have The Last Defender in English. I have installed the version that comes in the package above but it is in Chinese, still playable but limited because of the language barrier. i am from greece and i want to buy the smartq watch.can i install some of these apps? Copyright © Yiannis Tsentas. All Rights Reserved.